This over the shoulder monogrammed gray and red bag is perfect for when you need to pack for that overnight trip, taking a day trip or just heading to work. Tuck all your necessities in and zip it closed to keep it secure. Keep all your personal items inside the large zipper pocket with two open pockets attached to keep you organized while on the go! Made to hold its shape with heavy durable canvas. 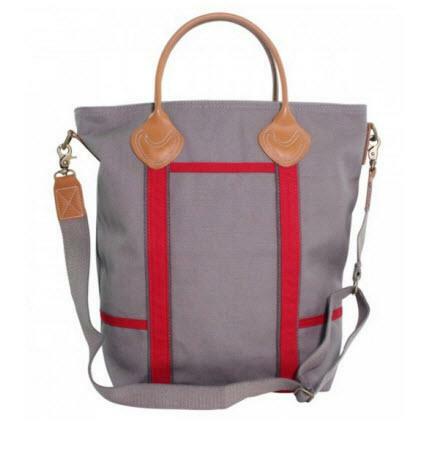 Choose to carry from the attached leather handles or from the detachable and adjustable shoulder strap. Personalize it with your monogram in your favorite font and color thread for that one of a kind look.